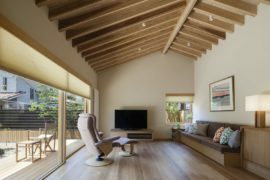 Memories and nostalgia often play a key role in home design and often homeowners want to replicate a feature of their childhood home or create a residence that takes them closer to their rustic roots. 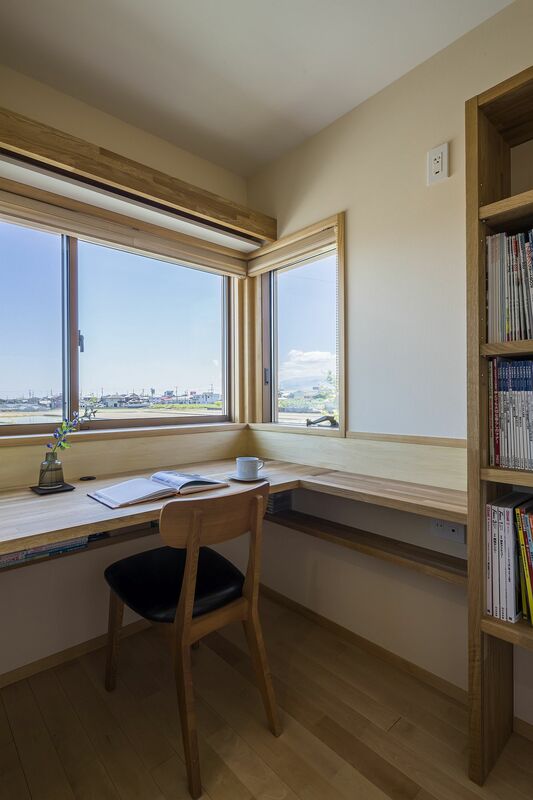 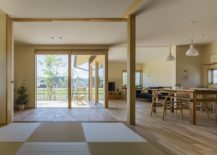 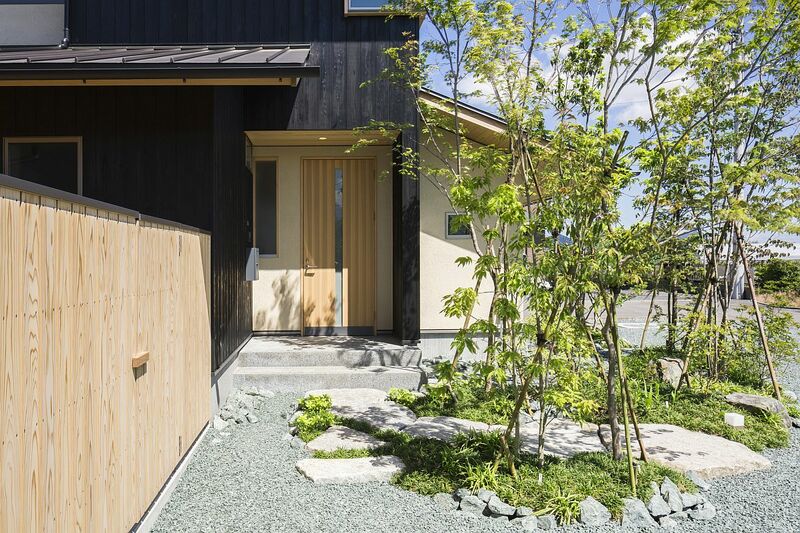 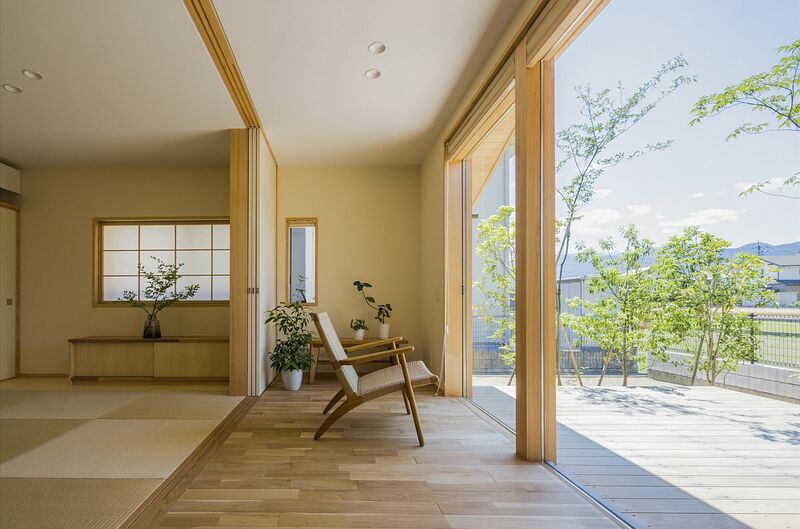 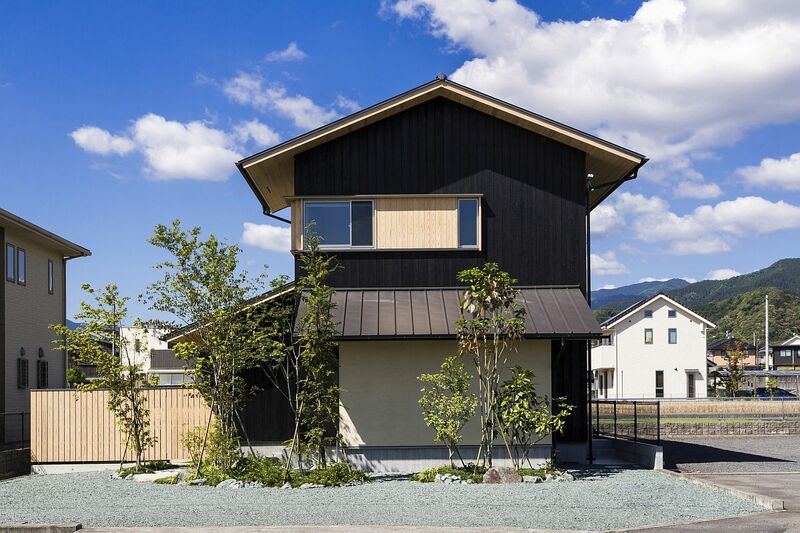 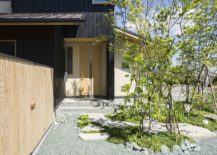 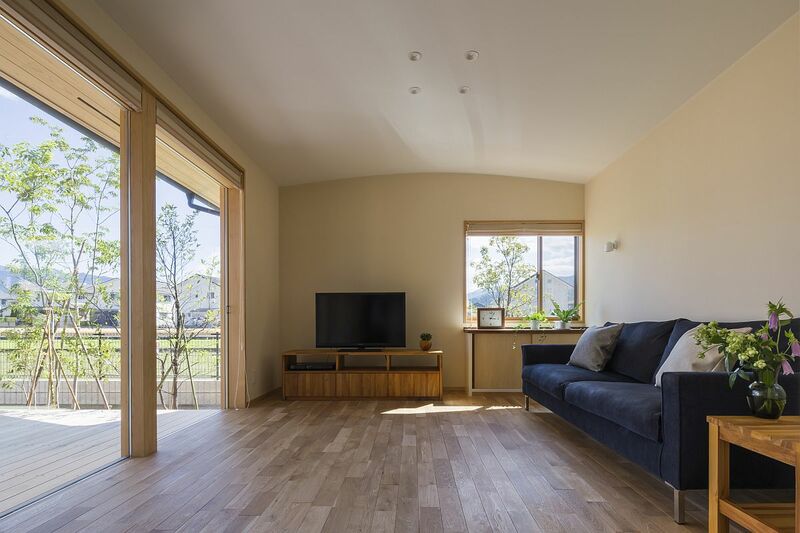 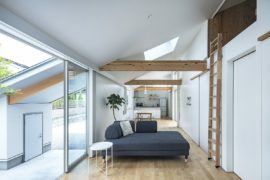 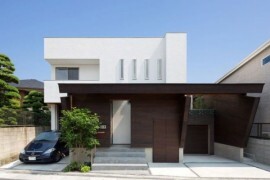 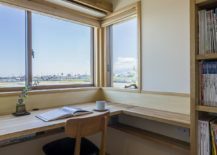 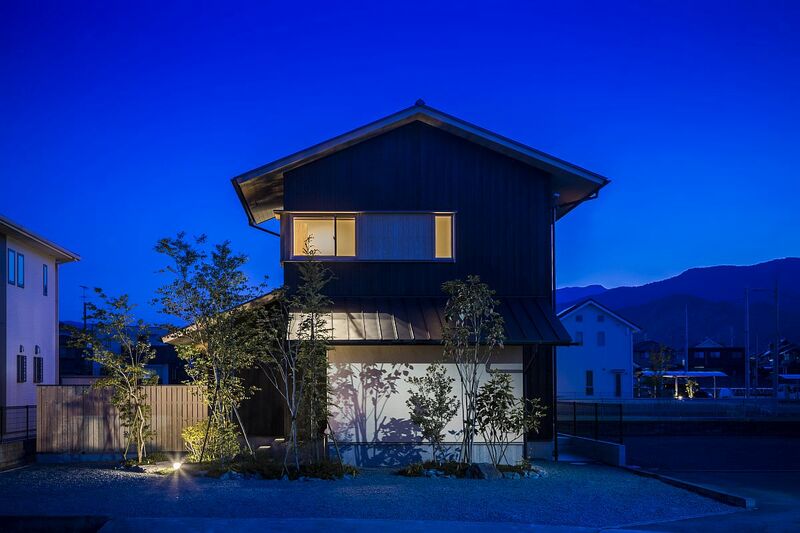 Designed by Takashi Okuno to meet the specific needs of a young couple, this Japanese home draws its inspiration from simpler structures of the past that were visually connected with the landscape around them. 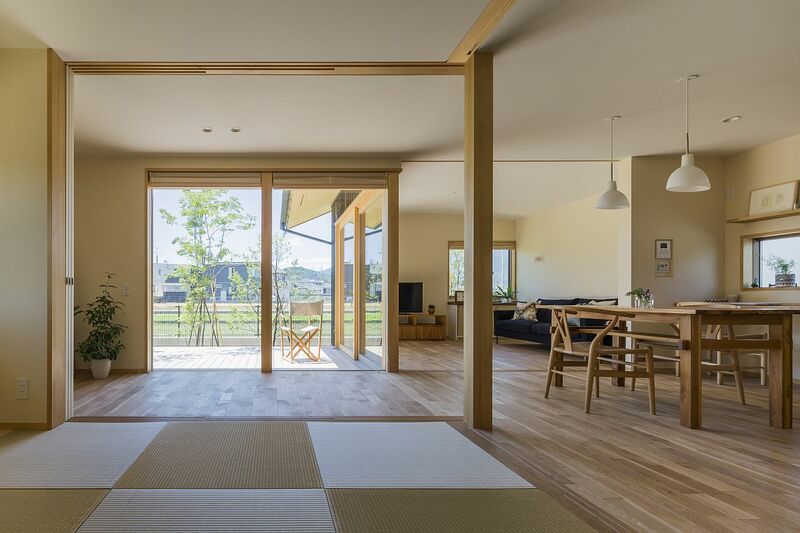 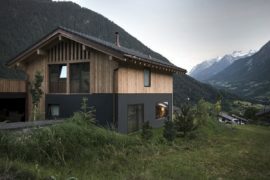 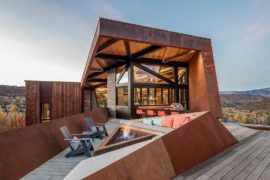 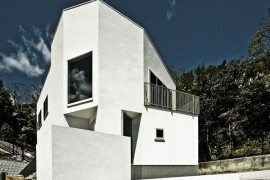 Dubbed ‘House that Coexists with the Landscape‘, this open, inviting and light-filled house adopts a more traditional silhouette and yet surprises you with its gorgeous, free-flowing interiors. 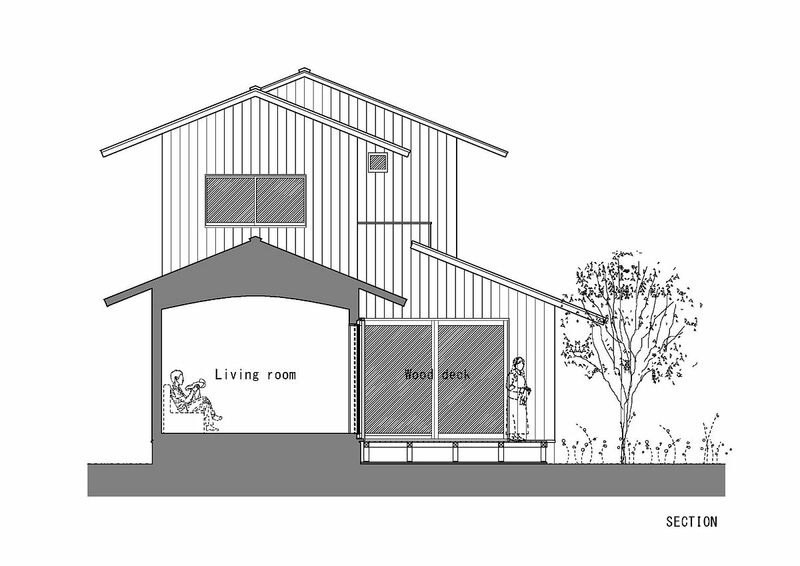 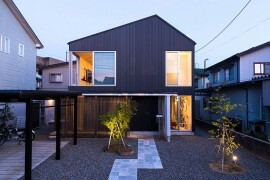 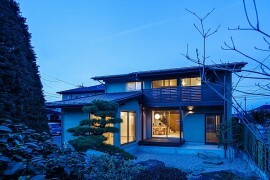 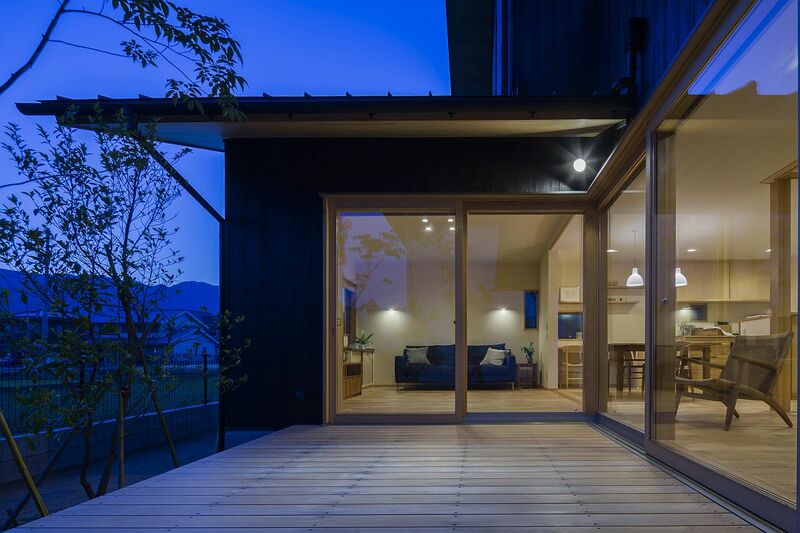 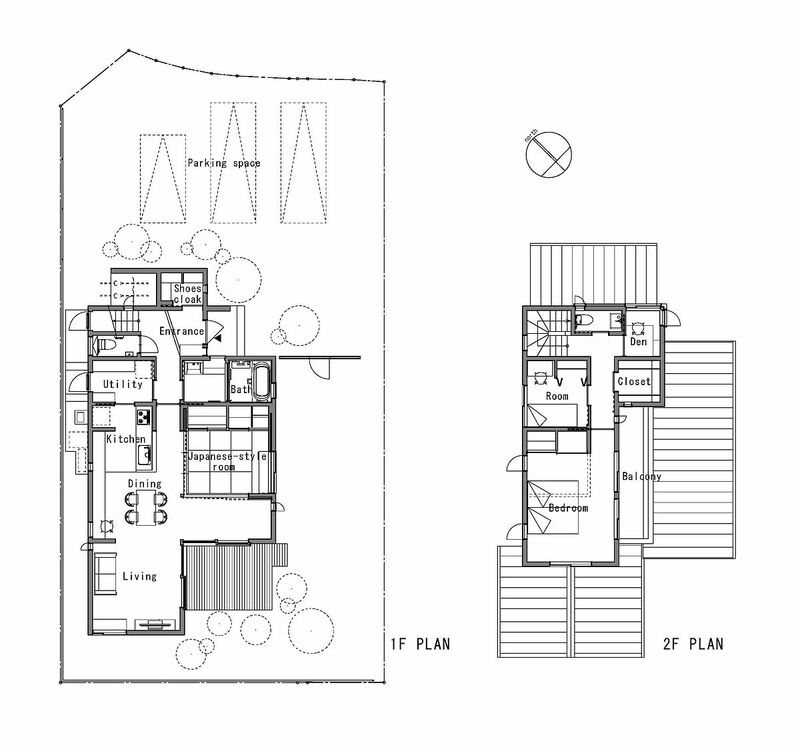 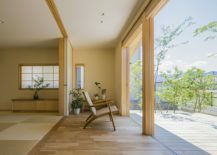 Connectivity with nature was the driving force behind the form of this Japanese residence and the unique L-shaped cutout in its living space that leads one on to the wooden deck outside. 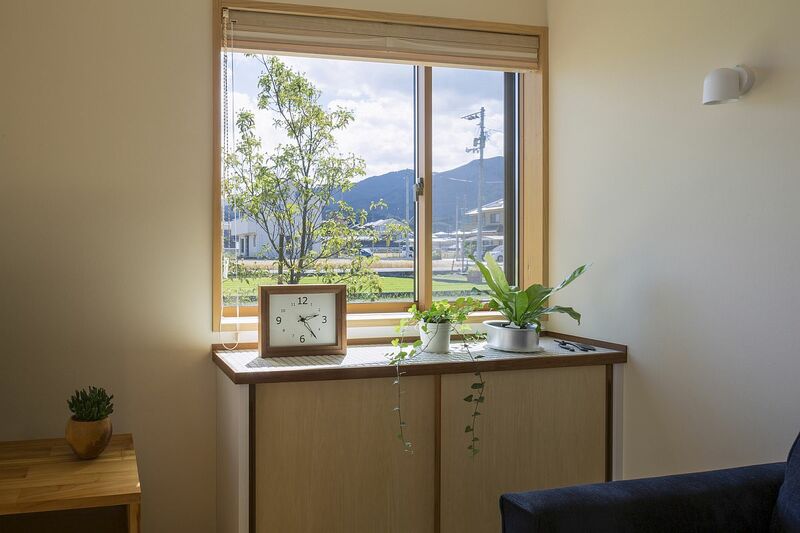 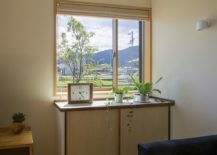 Large glass doors and cleverly placed corner windows bring the distant mountains indoors even as the many sights and sounds outside leave you spellbound. 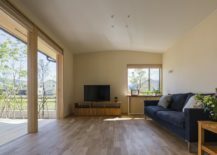 Internal partitions on the living level are completely done away with as the kitchen and dining area create an interactive, social hub. 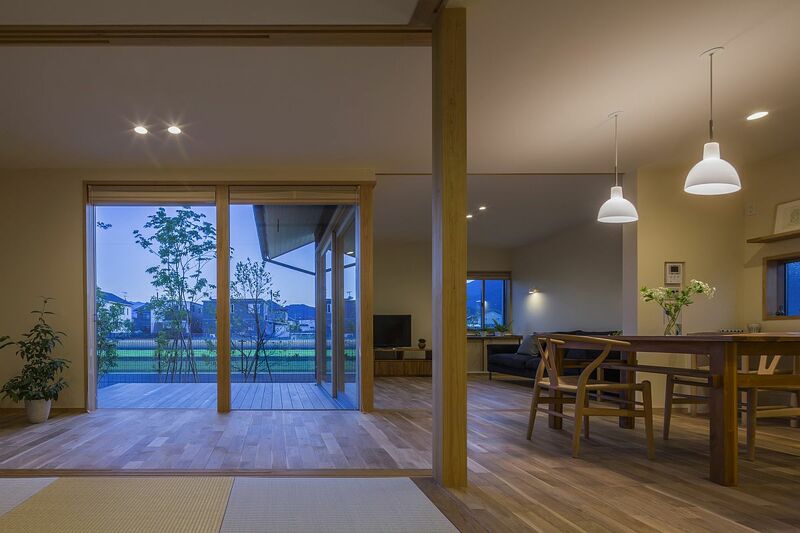 It is a wood and white color scheme that holds sway inside with an innate sense of minimalism apparent throughout. 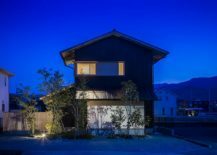 The sounds of animals in the rice paddies provide a lullaby, the clouds on the mountains let them predict the weather, and the colors of the mountains help them recognize the change of seasons. 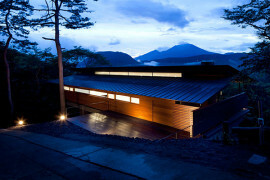 It is our hope that the house will continue to coexist with, and become a part of, the unchanging landscape.